Copy Editing Services Online - Go Hunters! When you are a school student, the life in college and university seems to be exciting and full of cool stuff. But once you become a newbie on campus, you find out that the most of your time there you will be spending on countless homework and various tasks. We know how tiring it is, but that’s only the part of the trouble. Sadly, but fact – most teachers believe that no matter what their subject is, giving students a paper to write for any of the topic would be the greatest idea, and you would successfully write them in case you were attentive at lectures. Needless to say, writing papers is not for everyone, and even if you manage to write a nice one, getting a professional help is always a good idea. And Gohunters copy editing service will be the best choice for you! Why should you get professional copy editing services? Ignoring the copy editing part is one of the worst mistakes you should not make if you are hoping for a successful result. Even if you know the material well, you may lack the skill for writing. You know they say it is always useful to give your paper or essay to someone to check it with ‘fresh eyes’? Our professionals will copy edit it for you at the highest quality possible! It happens to all students – you have a task to write a paper, and you even have an inspiration and ideas for this paper. But unfortunately most students stop working on the essay or paper once they place the last period at the end, which is a big mistake. See, when you write with a passion, you often forget synonyms to words or confuse parenthesis, and as a result you get a low grade for good ideas and thoughts as long as the number of mistakes outnumber ideas. What would your paper or essay look like after being copy edited by professional service? First of all, you will have your original tone of the paper saved, but they would adjust the sentences and structure of paragraphs, as well as replace weak sentences with more appropriate ones that would reflect whatever your topic of the essay is. You will as well have the repetitive words replaced with synonyms, and redundant words eliminated. Gohunters.com – affordable copy editing service! We know that most students have some pretty nice debts to pay off after the graduation. And while knowing our clients well, we share their struggles, and we want to make studies easier for them. There is an adequate price for the essential copy editing service, and the cost is worth the drastic changes your paper would go through. "I’ve been looking for a professional help with my college essays and papers for quite some time before I’ve found Gohunters.com. After the first copy editing service I’ve ordered I am your loyal customer, and with two more years of studies ahead, I will surely keep coming back for help." "I am currently studying to get my second degree, and I work full time. Needless to say that I have very little time for big tasks like writing essays and papers. And this is where Gohunters provide me with help – I often order papers, and ask writers to provide me with its copy edited version to save my time. Always the best results – Gohunters never fail!" "Unlike most of my group mates, I really enjoy writing essays and papers, because I’ve always had a talent for writing. Yet, most of the time I don’t have time to copy edit my writings myself. Gohunters are helping me with this task quite often, and they never fail to change my writing for the better. Thank you for being so professional and for working so fast!" "I come from China, and being a student in American university is a real challenge for me. Thanks to hard work I’ve learned English well, but I doubt my abilities when it comes to numerous written tasks we have to cope with during studies. Professional copy editing services are my salvation. 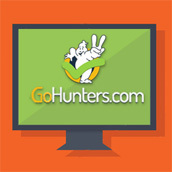 Thank you, Gohunters.com for help in my studies."